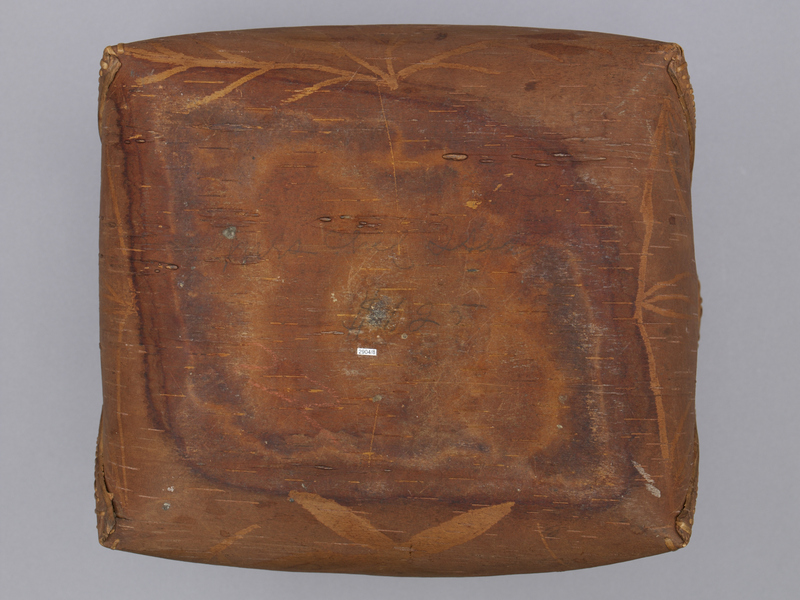 Item number 2904/8 from the MOA: University of British Columbia. 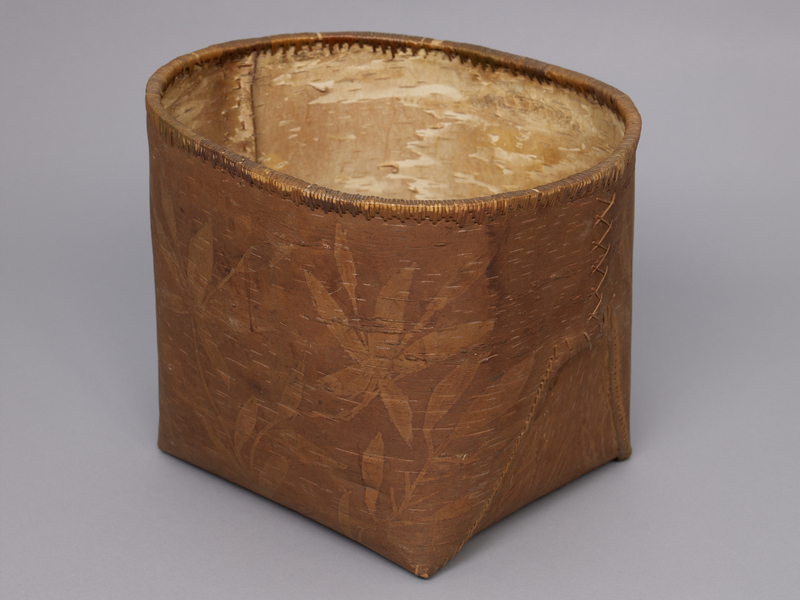 Brown birch bark basket with rectangular base, rounded sides and ovular rim. Bark is bent, cut and laced at two sides with thin strips of cedar root (?). 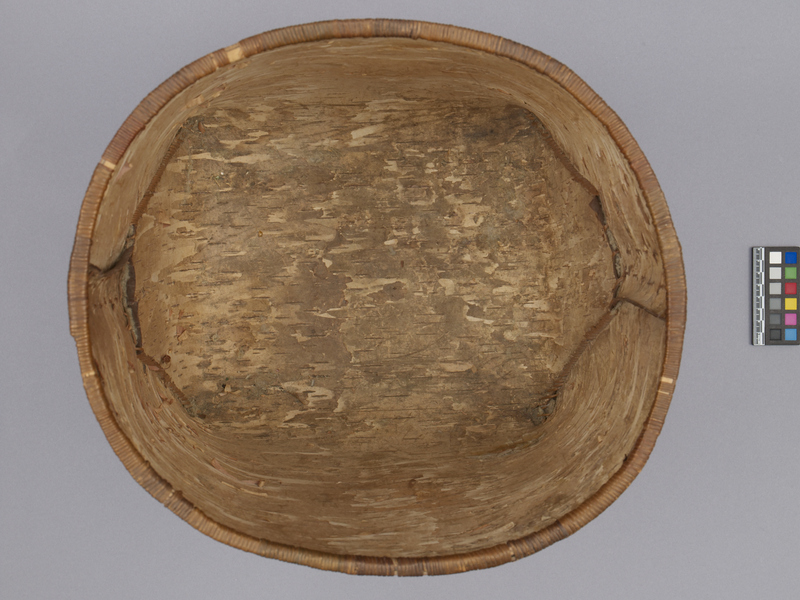 Rim is also wound with cedar root (?). 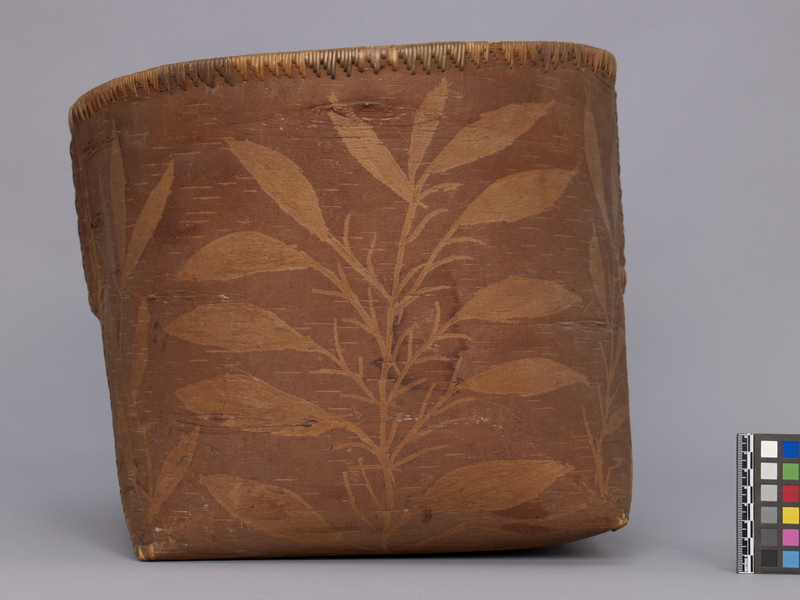 Front and back of basket have scratched decorative leaf motifs in light brown.